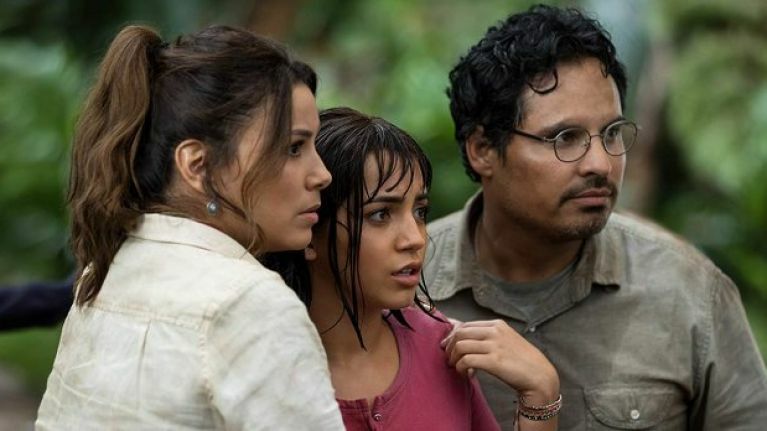 Welcome to #TRAILERCHEST, where we're taking a sneak peak at the first trailer for Dora and the Lost City of Gold. Why, it's the live action Dora the Explorer movie. Rather than keep it excessively loud (seriously, why was that show so loud? ), the filmmakers have gone for a fun, crowd-pleasing and vaguely Jumanji vibe as Dora takes on her greatest challenge yet - high school. That doesn't last too long, though, as Dora and classmates are kidnapped and brought back to more familiar jungle territory. Adventure ensues, one that probably won't make great use of a fairly impressive cast, but the kids will enjoy it well enough, you'd imagine.